This is Laclede's take on a security chain, which they call "Lockdown Chain". It sells extremely well, and since Laclede changed their heat treating process to make this chain even harder--62-65 HRC--we are confident it's going to sell better than ever! Additionally, this is a whole new diameter for Laclede, the smallest and most compact security chain they have offered yet! People simply trust the Laclede brand. They are a domestic manufacturer of many types of chain, including high-quality overhead lifting chain, tie down chains and tire traction chains. You can literally find their chains in use all over this great country--construction sites, passenger cars, marine applications, you name it, Laclede is there. They are adaptive too, willing to make changes with their engineering to keep up with modern demands. For example, their Lockdown Chain used to be thru-hardened but with a lower HRC rating. Laclede's design team determined their chain would be even tougher to cut being case-hardened yet with a much higher HRC rating. They brought this change to market quickly, and now have a security chain that stacks up against ANY competitor. What Size is This Chain? This chain is relatively small at 9/32" (7mm) in diameter. Principally, this chain is popular with bicyclists or even scooter/motorcycle riders that want to lock up their ride in an urban area, without having to schlep around with a big, heavy chain. It is surface hardened the same as the bigger 3/8" size (62 HRC Min. ), yet because it is smaller, it does not offer quite the same level of security. But make no mistake, this chain is still very hard to cut and works well as a theft deterrent. On jobsites and in remote locations, a bigger chain might be a better choice. 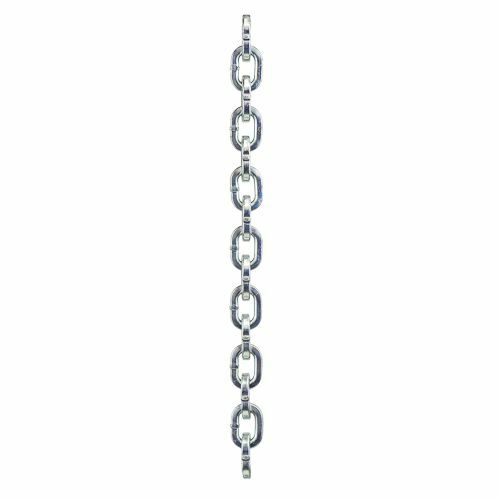 This chain is made from quenched and tempered alloy steel with an electro-galvanized finish. It is worth noting that Laclede is the primary chain manufacturer we use for building Grade 100 chain slings because we trust their quality so much. 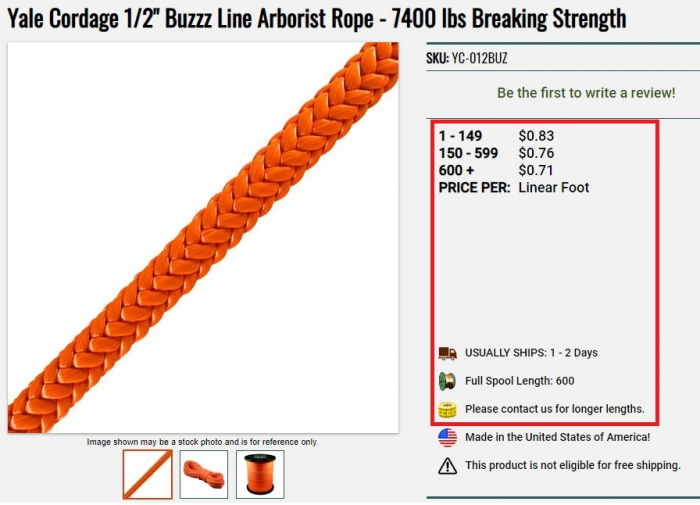 This chain is available by the foot with quantity discounts available. Do you have a chain kit for this size 7mm chain from Laclede? We do not. 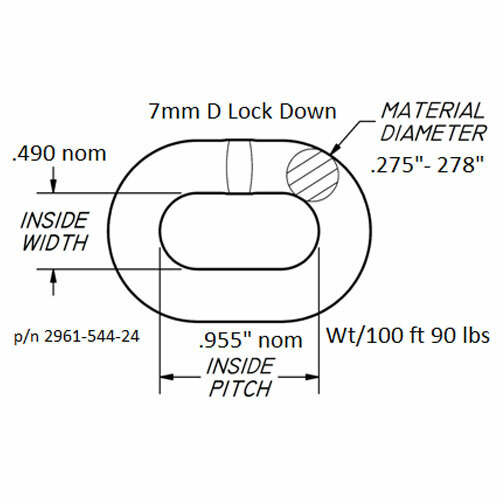 Laclede only offers a padlock to work with their 10mm and 13mm chain. You could pair this chain with the Blocca Catena padlock from Viro. This chain is obviously not as tough as the 3/8" or the 1/2". I had a special need for a smaller footprint chain that still has the security strength to deter the bad guys. This 9/32" was just right. I have been using it for several weeks and and love it. Great mix of security and handling. Used to secure old steel casement windows at my commercial space under renovation. Much lighter than the 10mm product.